Bhutan has always been one of the places I have most wanted to visit. I remember as a kid thumbing through old copies of National Geographic and wondering what a place known as the ‘Land of the Thunder Dragon’ must be like. As an adolescent, I remember reading newspaper accounts of a young and enlightened king of Bhutan who measured the success of his governance not in term of his country’s GNP (Gross National Product) but in terms of the GNH (Gross National Happiness) of his subjects. 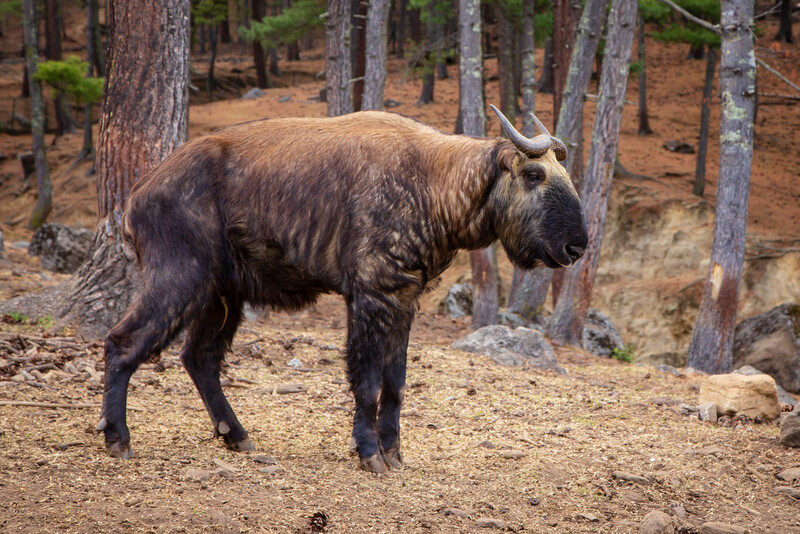 I heard stories of strange animals like the Takin, the Yeti and rare birds like the Himalayan Monal or the Black-necked Crane. I saw pictures of ancient monasteries built improbably high into sheer rock face. 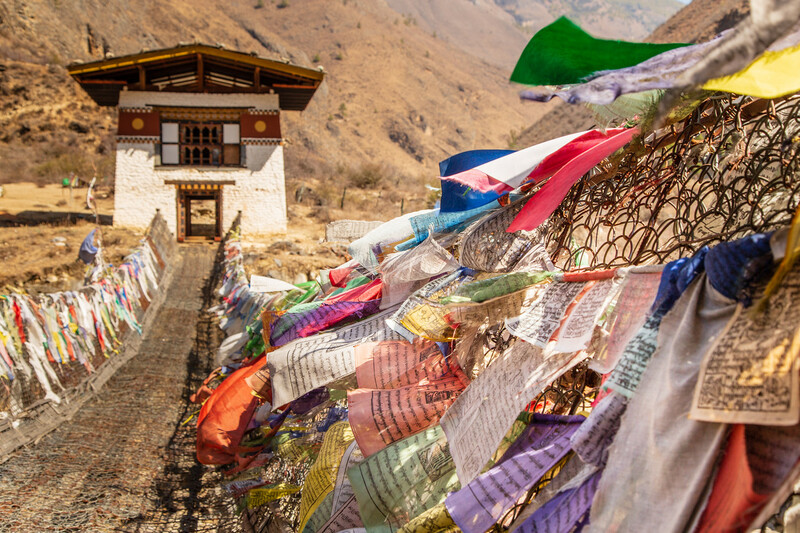 It was one of those places that was so compelling yet it somehow felt out of reach, so when we got an offer to go on a Bhutan tour, how could we resist? In January, almost as a lark, I contacted the Bhutanese tourist board and asked them if I could visit and write about the adventures I wanted to have there. I sent them a brief resume, a description of my audience’s demographics, mentioned a few of the things I would like to see while I was there and headed off to for a month in Burma. To my total astonishment, Tourism Council of Bhutan replied almost immediately and agreed to give me a partial sponsorship to cover the annual gathering of Bhutan’s central nomadic Highlanders known as the Nomad Festival. This got me to thinking; the Himalayas? February? Absolutely! I was on my way to Bhutan! 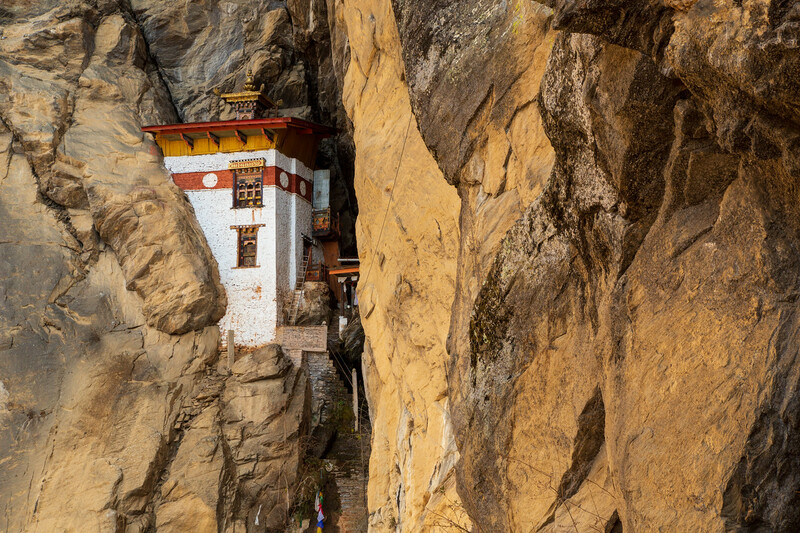 Landlocked Bhutan is tucked away in the heart of the Himalayan mountains between Tibet and India. It is so remote that much of this mysterious kingdom remained unmapped until the middle of the 20th century. So unexplored that, at 24,840 feet Bhutan’s Gangkhar Puensum remains the highest unclimbed mountain in the world. So quiet the capital Thimpu doesn’t have a single traffic light. Television and the Internet were introduced only 15 years ago. Bhutan was the first country in the world with constitutional mandates to protect the environment and at least 60 percent of the country must remain virgin forest at all times and over a quarter of the land is preserved as national parks. Smoking is outlawed. Bhutanese do not have family names but names are chosen at birth by the local elders. Killing a sacred black-necked crane can get you sentenced to life in prison. Family lands are passed through generations of mothers and maternal ancestors. There is a national dress code. Polygamy is legal for both men and women. Rice is red, yak is a delicacy and chili peppers are used as vegetables. Obviously, this was not going to be an ordinary trip. I could tell when I met Norbu and Nito, my guide and driver from Yangphel Adventure Travel that everything was under control. I am usually an independent, seat of the pants, type of traveler but Bhutan’s policy of “Low Impact, High Value” tourism requires that visitors have a private vehicle, guide, and driver. You are also required to pre-pay for visas, accommodation, meals, entry fees and taxes. This policy is set to avoid travelers that overtax the infrastructure and contribute little to the economy. It is also designed to preserve Bhutan’s cultural and ecological values. 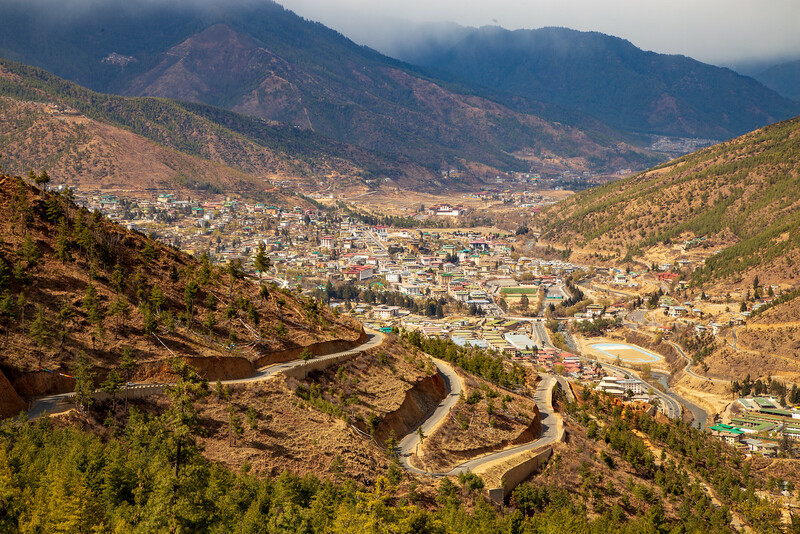 Considering what you get, Bhutan is certainly not freewheeling budget backpackery type destination but all things considered, it is a good value. Also, the Bhutan population may be less than a million people, but the Bhutan people were larger than life; warm, welcoming and incredibly interesting to get to meet. This is the first time I have come across your blog. I have been traveling most of my life and am once again gearing up for great adventure like the one you’re on. Ten years sounds incredible to me. Best of luck and I look forward to following you.